and Member Survey - - CLICK HERE ! First Sellable 2008 Corvette heads for Kansas! On Friday, June 22, the first 2008 Corvette was built. The Black Coupe rolled off the line officially on Monday, June 25 and will be headed to Topeka, Kansas. 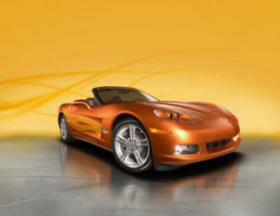 2008 Corvette Prices Now Online! 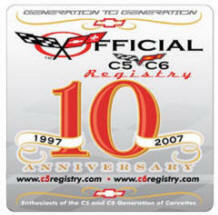 Once again, the C5/C6 Registry provides you with a comprehensive ordering guide, RPO codes, information, photos, option packages and prices, in some cases before your dealer sees them! There's even a downloadable order guide in PDF format. CLICK HERE for the complete information. Congratulations to the #63 coming in second during a grueling heavy rain shower. LMP2 is won by the No. 31 Binnie Motorsports Lola and the No.33 Barazi-Epsilon Zytek. Aston Martin finally wins GT1, the No.009 DBR9 finishes ahead of the No. 63 Corvette C6.R and the No.008 Larbe Aston Martin. Thousands of Corvette enthusiasts across the country will climb behind the wheel for the 7th annual Drive Your Corvette to Work Day on June 29. From restored vintage rides to tricked-out customs and stylish production machines, Corvette owners will be taking to the road in celebration of the American icon. And with the Fourth of July holiday quickly approaching, there is no better time to enjoy the ride in ‘America’s Sports Car’. Mid America Motorworks began Drive Your Corvette to Work Day in 2000 as a way to celebrate the birthday of the classic car. Over the years, participants have included a wide range of commuters, from senior aerospace technicians to city hall employees. 2007 promises to another uniquely American spectacle as Corvette commuters take to the highways and byways in their favorite ride. FIRST AND SECOND FOR CORVETTE ! At the today's ALM race in Utah the Corvettes came in 1st and 2nd. Oliver Gavin and Olivier Beretta had a forth win of the season in the number 4 car 26.550 seconds ahead of the number three car driven by Jan Magnussen and Johnny O'Connell. The cars were then, shipped off to France for the 24 hours of LeMan... we'll be watching that one closely... lot's of completion in Europe. PACE CAR DRIVER ANNOUNCED ! INDIANAPOLIS – Actor Patrick Dempsey will drive the 2007 Chevrolet Corvette Convertible Pace Car at the 91st Indianapolis 500 on Sunday, May 27. This will be the 18th time a Chevy has paced the Indianapolis 500. Dempsey will bring the field of 33 starters to the green flag at the start of “The Greatest Spectacle in Racing,” the world’s largest single-day spectator sporting event. The race is scheduled to start at 1 p.m. (ET) and will be televised by ABC and broadcast by the IMS Radio Network, XM Satellite Radio and the Armed Forces Radio Network. Dempsey, a native of Lewiston, Maine, has played Dr. Derek Shepherd on “Grey’s Anatomy” since 2005. The show is one of the highest-rated programs on American television. At tonight’s Racing Dinner, the BIG NEWS was the announcement was that Andy Pilgirm will be racing in a C6.R at Mosport August 26, 2007! This announcement brought a immediate standing ovation from the members in attendance! This exciting revelation informed us that there will be three C6.R’s racing and the WHITE ONE will have Andy Pilgrim and long time friend and co-driver Ron Fellows back together again! More information to follow shortly. As announced today at 2:PM by Chief VLE Tom Wallace, Chief Engineer Tadge Juechter, Qaulity Manager, Tom Hill, and Plant Manager, Wil Cooksey. Unique center trim plate with Bias pattern. Engine – A new, 6.2L LS3 small-block V-8 is the standard engine in Coupe and Convertible models. It is rated at 430 horsepower (321 kW)* and 424 lb.-ft. of torque (586 Nm)* with the standard exhaust system; with the new, optional two-mode exhaust system, power ratings increase to 436 horses / 325 kW and 428 lb.-ft. / 592 Nm. 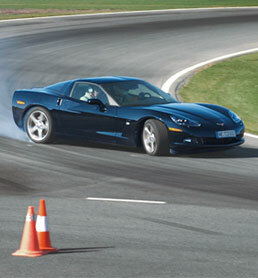 As a result, the standard Corvette is true supercar, capable of 190 mph. The LS3 with the six-speed paddle-shift automatic is the fastest automatic-equipped Corvette ever, with 0-60 mph capability of 4.3 seconds. This new iteration of the storied small-block family features a revised, larger-bore cylinder block – 4.06-inch / 103.25 mm vs. the previous 6.0L’s 4.00-inch / 101.62 mm bores – high-flow, LS7/L92-style cylinder heads; larger-diameter pistons; revised camshaft and camshaft timing; revised valvetrain with offset intake rocker arms; high-flow intake manifold; high-flow fuel injectors from the Z06’s LS7 engine; and a new engine beauty cover. The LS3 features an aluminum cylinder block with cast iron cylinder liners. In addition to its larger bores, which help create a 376-cubic-inch displacement, the block casting also features revisions and machining in the bulkheads that enhance its strength and improved bay to bay breathing. But while the bore of the 6.2L engine is increased when compared with the previous 6.0L engine, the engine’s stroke remains at 3.62 inches (92 mm). The pistons for the larger 6.2L engine also are new and are designed for its high-rpm performance capability. Breathing for the new 6.2L engine is accomplished via new, high-flow cylinder heads. They’re based on the large port/large valve design found on the LS7 engine and other GM L92 engines, with larger-capacity, straighter intake ports. The design optimizes intake flow to the combustion chamber and the exhaust ports are also designed for better flow. Complementing the larger-port design of the heads are commensurately sized valves. The intake valve size alone increases from 2.00 inches (50.8 mm) to 2.16 inches (55 mm) – an increase of nearly 9 percent. The intake valves feature lightweight hollow stems, which enable the engine’s 6,600-rpm capability. The exhaust valves also are large, measuring 1.60 inches (40.4 mm) in diameter. To accommodate the engine’s large valves and enable more direct intake port flow, the intake-side rocker arms are offset 6 mm between the valve tip and the push rod. Actuating the valves is a new camshaft, with intake-side lobes providing more than a 5-percent percent in increase in lift, from 0.521-inch to 0.551-inch (13.25 mm to 14 mm). Exhaust-valve lift remains unchanged from the LS2. The camshaft timing was revised to optimize performance with the higher-lift intake cam profile. Ensuring the cylinder heads receive all the air they can handles falls to a new, acoustically tuned intake manifold. The composite design is manufactured with a “lost core” process that improves runner to runner variation and reduces airflow losses. An acoustic foam material is used to reduce radiated engine noise; it is sandwiched between the outer top of the manifold and an additional “skull cap” acoustic shell. Also new beauty covers atop the engine shield the rocker covers and also feature a noise-reducing, acoustically tuned insert to provide a more refined engine sound. Exhaust system – Optional on ’08 Coupe and Convertible models is a new, two-mode performance exhaust system. Similar in design and function to the system used on the Z06, the dual-mode exhaust uses vacuum-actuated outlet valves, which control engine noise during low-load operation, but open for maximum performance during high-load operation. It is not identical to the Z06 system; the Coupe/Convertible uses a 2.5-inch-diameter exhaust, while the Z06 uses a three-inch system. Interior enhancements – All models feature a new wrapped instrument panel center trim plate, with bright surrounds for the shifter and cupholder. There are also new metal-finish door sill plates that greet passengers as they step into the vehicle, as well as a new lighted control knob for the available Magnetic Selective Ride Control. Bob Lutz just made all Corvette enthusiasts really happy! Just last week GM put a hold on all RWD cars do to CAFE and economy concerns. We've been waiting to see what is going to happen, to the RWD high performance cars from Pontiac, Cadillac, and Chevrolet. Recently Bob Lutz acknowledged the existence of the Blue Devil Corvette for the first time, and told Car and Driver that along with the Camaro, the Blue Devil has escaped the Reaper and is "in the final stages of tuning." While saying that the development of the car has been challenging, he delivered a number of heartwarming quotables like "This thing has so much power that we have to explore a dynamic envelope that we've never explored before. . . . We're really into a speed and power realm that General Motors has never been in before. We're way up there with Porsche Carrera GTs and Ferraris." What does that mean? It means more displacement than the Z06's 7.0L V8, but Lutz wouldn't say how much. It means "comfortably in excess of" 600 hp, but not quite 700, which GM's Head of Powertrain, Tom Stephens, says perhaps might come "in the second year." It means 0-to-60 in less than 3.4 seconds. And it means so much torque, Lutz says, that "we're obviously going to have to restrict it because otherwise you get nothing but wheelspin." Lutz also wouldn't be cornered on an arrival date or the official name of the car, but rumors are 2009 and SS, Z07, or Stingray, along with a $100,000 price tag. NEW CORVETTE ENGINEER ANNOUNCED ! Can you believe it? Three GREAT engineers working to improve Corvette! The C5/C6 Registry has learned that Jim Danahy, you may remember from the plant in Bowling Green, has been appointed Chief Corvette Engineer for the current product, and Tadge Juechter has been promoted to Chief Corvette Engineer for future products. Tom Wallace will remain in his current position as VLE and over the entire Corvette program. The registry congratulates Jim on his appointment which apparently has him engineering the current Corvette line, right up to the "SS" or "Blue Devil". One of Corvette Racing's familiar yellow C6.Rs had an all-new look and paint scheme at the start the Mobil 1 Twelve Hours of Sebring today. The crew of the No. 3 Compuware Corvette has transformed their race car from Velocity Yellow to Arctic White. The new look salutes the limited edition Ron Fellows ALMS GT1 Champion Corvette Z06 that was unveiled at the Chicago Auto Show in February. This is the first time since the 2003 24 Hours of Le Mans that a factory Corvette has raced without its trademark yellow color. 1. (2) Allan McNish, Pierre Kaffer, Frank Biela, Audi R8 (LMP1), 350. 2. (1) JJ Lehto, Emanuele Pirro, Marco Werner, Audi R8 (LMP1), 345. 3. (4) Johnny Herbert, Jamie Davies, Guy Smith, Audi R8 (LMP1), 338. 4. (10) Ron Fellows, Johnny O'Connell, Max Papis, Chevrolet Corvette C5-R (GTS), 329. Corvette's rich racing history enters a new and exciting era with the introduction of the Corvette Victory Edition. Created in celebration of Corvette's phenomenal racing success at the 24hrs of Le Mans, just 250 of these highly exclusive cars are produced and became available only in Europe at the beginning of March 2007. Since the turn of the millennium Corvette has dominated the GT1 class at both the 24hrs of Le Mans and across the Atlantic in the 'American Le Mans Series'. High-tech engineering, driver skill and pit crew expertise have enabled the Corvette Racing team to rack up an unprecedented number of wins. The Corvette Victory Edition is the ultimate embodiment of this winning spirit. Available in Black or Velocity Yellow, the Corvette Victory Edition is a truly exceptional collector's edition. Its host of exclusive features includes two-tone heated leather seats embossed with Corvette flag emblems, a carbon-look interior trim package and a unique numbered Victory Edition badge. The driver’s seat has a 2-person memory preset function that readjusts the seat, rear-view mirrors and telescopic steering wheel, while the instrument panel includes a touch screen and voice-guidance DVD navigation system, head-up display with G-force meter and a Bose® 7-speaker entertainment system. The Corvette Victory Edition's exterior enhancements range from 5-spoke Competition Grey aluminum wheels to a full width body-coloured rear spoiler. The car's strong links with racing continue under the bonnet with a 6-litre V8 engine producing no less than 404 HP/297 kW. A six-speed manual gearbox is standard, but drivers can also opt for a 6-speed Paddle Shift transmission with automatic modes. £ 53,595.00 for the automatic. SWEEET! AND WE’RE NOT TALKING ABOUT VALENTINE CANDY! Members – As you will recall, the 2008 model year will be the 55th year for Corvette, and our fabulous C6 will play a major role in this very important milestone. Corvette has rewarded us by showing us 2008 enhancements early. One of these enhancements will be on the Limited Edition Indy 500 Pace Convertible Corvettes. 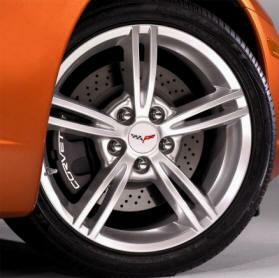 This 2008 newly designed 5 X 5 open spoke design will be the new wheel for the 55th year of Corvette production. Hmmm…. 5 spokes next to 5 spokes… 55th year… I guess Tom Wallace, Vehicle Line Executive for Performance Cars, is sending us a subliminal message! Of course, there are many additional design enhancements planned for the 55th year of Corvette and these will be announced, as well as shown to all of us at the upcoming Birthday Bash, April 25 – 28 at the National Corvette Museum in Bowling Green, KY. So make your plans now, because you won’t want to miss one moment of these exciting changes. You won’t be disappointed! It’s the ninth time Corvette will pace the Indianapolis 500, a record for the event. The previous years were 1978, 1986, 1995, 1998, 2002, 2004, 2005 and 2006. It’s the 18th time a Chevrolet will lead the field, also an event record. The 91st Indianapolis 500 is scheduled for Sunday, May 27 at the Indianapolis Motor Speedway, with live coverage on ABC Sports and the IMS Radio Network. The Pace Car driver will be announced at a later date. For video of the pace car being unloaded click here , for photos and specifications click here. Indy Pace Replica Limited production. 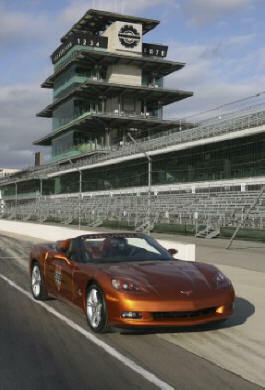 it’s the first time since 1998 that Chevy will offer a regular production replica of the Indy 500 Pace Car. But several dozen copies of all the Pace Cars have been used for official activities in support of their respective Indianapolis 500 races, such as parades. These cars – known as “festival” cars – have become prized collectibles, along with the limited-edition, regular-production replicas. The performance-bred Corvette handles its official pace duties in nearly factory-stock trim, with little more than racetrack-required safety equipment, strobe lights and eye-catching graphics added. In years past, many Indianapolis 500 Pace Cars required modification to perform their on-track tasks. The 2007 Corvette’s powertrain and suspension, including a 400-horsepower (298 kW) LS2 small-block V-8 engine, are more than adequate to maintain the speed, acceleration and handling required to lead the pack around the famed 2.5-mile oval. “Chevrolet and Corvette have a long, storied history at Indianapolis, and the new Pace Car special edition commemorates that heritage with what will surely be an instant collectible,” said Ed Peper, Chevrolet general manager. All of the Pace Car replicas are equipped with the Z51 performance package. A six-speed manual transmission is standard, with the six-speed paddle-shift automatic optional. The navigation system with Bose audio and OnStar also are standard. Tom Hill Rembers The Past - fPlant Newsletter"Performance Press"
Restorers Society (NCRS) Winter Regional Event in Kissimmee, Florida. The NCRS is non-profit hobby group of 15,000 families dedicated to the restoration, preservation, history, and enjoyment of Corvettes made from the model years of 1953 through 1991. Estimating the crowd to be about 4,000 to 5,000, Tom said the attendance was high compared to the events he’s attended since1995. "It’s amazing to see people bringing their cars from all over the country," Tom said, recalling an award given to a restorer who won the "Longest Distance Trailored" award, hauling his Corvette1,925 miles from Maine. Tom says the event is all about originality – how close the Corvette is to the way it was when it was new. "It’s the best quality of old Corvettes you will find anywhere," Tom said recounting the sea of beauties mixed with Florida’s warm sunshine. "It’s amazing the price these enthusiasts pay to purchase the original parts. It’s a hobby, just like stamp collecting, but a little more expensive." Or a lot more. "What’s interesting about this group is that they are so fascinated with older Corvettes," Tom continued. "But what you find is that they have their Classic parked in the garage and their hands on the wheel of a new one." Now, that’s music to our ears, Tom! Bridgestone Firestone North American Tire, LLC (BFNT) has expanded its Firestone Firehawk(tm) Wide Oval(tm) tire line with two new sizes - P245/40R18 88Y RFT and P285/35R19 90Y RFT - to fit Chevrolet's sixth generation Corvette. The Firestone brand's new generation Firehawk Wide Oval tire continues the tradition of race-inspired ultra-high performance and is engineered to give motorists world-class performance and durability. The new Firehawk Wide Oval RFT sizes mark the second Firestone fitment to target Corvette models. The Firestone Firehawk SZ50 EP(tm) RFT tires are available in two sizes - P245/45R17 89Y and P275/40R18 94Y - to fit the C5 Corvette. "With these new Firestone Firehawk Wide Oval sizes, Corvette C6 owners can know what it is to rule the road with a tire that reflects the Firestone brand's rich legacy of motorsports success and more than 100 years in the tire business," said Phil Pacsi, Vice President, Consumer Tire Marketing, BFNT. "Turns are tighter, handling is more precise and traction is exceptional in both wet and dry conditions, not to mention giving owners the confidence of Run-Flat Tire Technology." In addition to the new Corvette C6 replacement sizes, the Firestone Firehawk Wide Oval is available in 20 popular 16- to 20-inch sizes to fit other high performance sports car models. It carries a UTQG rating of 320 for treadwear, 'AA' for traction and 'A' for temperature. UNI-T is an acronym for "Ultimate Network of Intelligent Tire Technology" found only in Bridgestone, Firestone, Dayton and select associate brand tires. One of its core technologies is a Computer Optimized Component System, CO·CS, which uses a super computer to help determine an ideal combination of tread design, casing shape, materials and construction for a particular application. The use of L.L. Carbon (Long Link Carbon), an advanced form of carbon black, produces a stronger tire, better able to resist cracking, chipping, tearing and excessive wear. Corvette enthusiasts in search of a unique ride have much to consider this year with the introduction of two special-edition models: the Ron Fellows ALMS GT1 Champion Corvette Z06 and the Indianapolis 500 Pace Car Replica Corvette Convertible. "Chevrolet and Corvette have a long, storied history at Indianapolis, and the new pace car special-edition commemorates that heritage with what will surely be an instant collectible,” said Ed Peper, Chevrolet general manager. “Ron Fellows is also a part of Chevrolet’s racing heritage, and he has been instrumental in the remarkable success of the Corvette Racing team in the American Le Mans Series. The special signature-series Z06 model that bears his name will forever link him to one of the greatest eras in factory racing, which has produced six consecutive ALMS GT1 manufacturers championships, and counting.” Click Here for photos, press release, prices, and spec's. UP AND RUNNING AT THE CORVETTE ASSEMBLY PLANT! Members - Recently we discovered that the Corvette Assembly Plant has instituted a DIRECT ONLINE FEEDBACK CENTER for you to talk about your Corvette. We made some calls and found out that this was not just an exercise in e-mailing into cyber space. We have been informed that there is a team of five individuals who will be reading ALL of these important posts sent directly in to the Bowling Green Assembly Plant about your C6 or C5 (yes, they do want to hear from C5 owners!) and redirecting them to the proper individuals regarding your input. PLEASE NOTE - THEY WANTED TO MAKE SURE THAT WE TOLD YOU THAT THEY WILL NOT BE ABLE TO ANSWER YOU DIRECTLY UNLESS THEY NEED SOME ADDITIONAL INFORMATION ON AN ITEM YOU MAY HAVE WRITTEN TO THEM ABOUT. That is why, after you sign in with your model year and the last eight digits of your VIN number, you will have an opportunity to inform them of your concerns, or praise them for the 99% of your Corvette that they produced correctly! After you have done this, the next screen will ask you for your contact information so that they can get back in touch with you if your concern or praise warrants it. www.bowlinggreenassemblyplant.com/survey/index.htm to tell the folks at the Plant what you think of the amazing work they do, building our Corvettes each and every day! Members, over the last ten years that the Registry has been around, many, many of you have asked how you can get in touch of someone at GM! Well, here it is - it is for you to use and I assured the folks at the Plant that our members would take full advantage of an opportunity to voice their ideas. I can't speak for other sports car companies, but this is a fantastic owner resource that Corvette has made available to you to give direct information back to them. And the really big news is, they REALLY want to hear from you!!! DETROIT - Corvette Racing officials announced today that America's premier production sports car team intends to return to the American Le Mans Series in 2007 to defend its GT1 manufacturers, team and drivers championships. Corvette Racing also plans to race for its sixth GT1 class title in seven years at the 24 Hours of Le Mans. "The Corvette C6.R race program continues Chevrolet's tradition of racing production-based vehicles to improve the breed," said GM Racing director Mark Kent. "The continuous exchange of information and the constant transfer of technology between the racing and production programs ensure that lessons learned on the track benefit every Corvette on the highway." 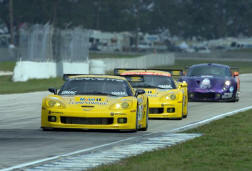 Corvette Racing will test in February in preparation for the season-opening round of the 12-race ALMS series, the Mobil 1 Twelve Hours of Sebring, on March 17, 2007. Since its debut in 1999, Corvette Racing has competed in 77 races, scoring 51 victories and 34 one-two finishes. 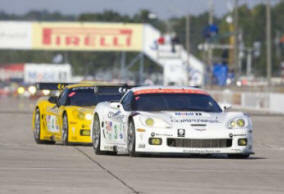 The team has won the ALMS GT1 manufacturers championship for Chevrolet six consecutive years. Corvette Racing drivers Ron Fellows, Johnny O'Connell, Oliver Gavin and Olivier Beretta have combined to win the ALMS GT1 drivers championship five consecutive seasons. Other highlights include five GT1 class victories in the 24 Hours of Le Mans and an overall victory in the 2001 Rolex 24 at Daytona. Members, many of our fabulous Corporate Member vendors and Chevrolet Dealers carry GCA products. Please see our Corporate Member listing for who to call. And members, don’t forget to click on to the Members Only section at for the many discounts that each of our Corporate Members offer to you as a Registry member. These Corporate Member’s are very supportive of you, our Registry members. Click Here for the GCA Lineup !